How The Jute Hammocks Are Made? 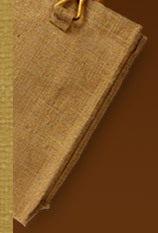 Designing and weaving jute hammocks is a tough task, it requires lots of concentration and expertise. Supreme quality jute fiber is used by the skilled craftsman along with latest weaving tools to develop the hammocks in a beautiful way. The swing hammocks should be durable and capable of bearing weight, hence the experts developing these ensure to weave tightly without compromising the quality. 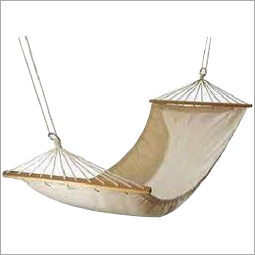 One can avail these jute made hammock in a variety of sizes, designs, colors and patterns as per their preferences. There are a large number of jute hammock manufacturers, who also offer custom designed versions of their products to meet the diverse choices of the clients. User should choose hammock as per their space availability. Using very large size jute hammock in a relatively small space can bring unpleasant results. Further, the comfort quotient will disappear and the user will left with a bad purchase. Hence, it is recommended to measure the space availability and then purchase the ideal hammock, accordingly. Hammocks are widely used as a seat or bed in various homes, hotels, beaches and garden areas for requiescence purpose. For optimum comfort and warmness, handmade hammocks are being used by natives of tropical region for sleeping. One can also use hammocks for camping purpose and in picnics, gardens and many other places, where a quick solution is needed for relaxation and sleeping.